Share the post "Things You Need to Know About Frothing Milk"
Coffee is a delight for us all but not just because of its properties or taste, but also because of the fact that it comes in a diversity of varieties. While all of us have our favorite, none of us can deny that cappuccino, macchiato or latte are some of the best forms of coffee. What makes these three some of the best is the frothed milk. It doesn’t matter if you like to prepare your own coffee or you get it at your favorite café, if the milk isn’t frothed properly, you might despise the taste because it might even taste like cardboard. Even if all of your ingredients are the same as on your grocery list and your steps immaculate, if you fail to produce well-frothed milk then your coffee will not only lack unique taste but the pleasant aesthetics as well. 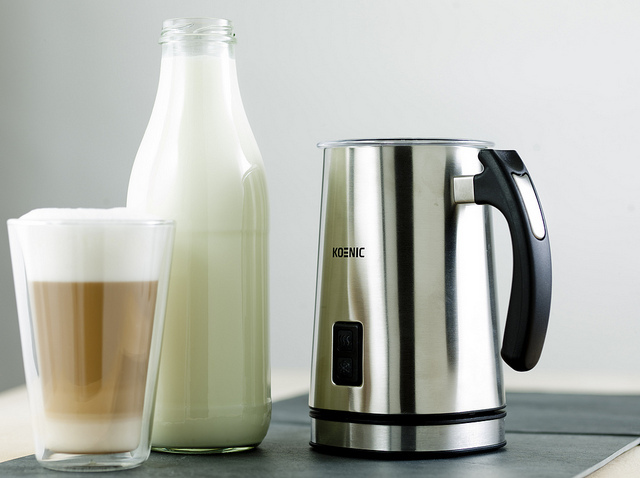 The above delineation about the importance of well-frothed milk might make it sound like some kind of rocket science but it isn’t, it also follows the same old rule of practice makes perfect. If we break it up into parts, then frothing milk is about heating and mixing the milk simultaneously. This step is most crucial if you want properly frothed milk instead of just hot milk. When you look at the milk in your pitcher, you need to establish different depth zones and you can distinguish between them by the sound the frother makes when you run it. At the first or top zone, you will see bubbling and hear gurgling sound which transforms into a deep sucking noise as you descend the tip of your frother. At the second of middle zone, the sound decreases and as you descend the tip to the bottom, things get loud and you hear a roaring noise. Now what you need to focus on are the top two zones, basically you need to keep the tip at the upper end of the second or middle zone. In terms of sound, it should usually be a deep noise which should occasionally turn into a sucking noise if you want perfection in this process. Another obvious query is that how long one should keep frothing? Or how do we know that the milk is completely frothed? When you froth milk, it turns into form which is much less dense than milk so the volume increases and what we are trying to achieve is to increase its volume by 50% of the original volume of the milk. Another dilemma you might face is how much you should heat it? The perfect or ideal heating temperature while frothing is 70 degrees centigrade. If you ever face a situation where you see your milk foaming rapidly, that means you have overheated it and it’s time to stop the heating. 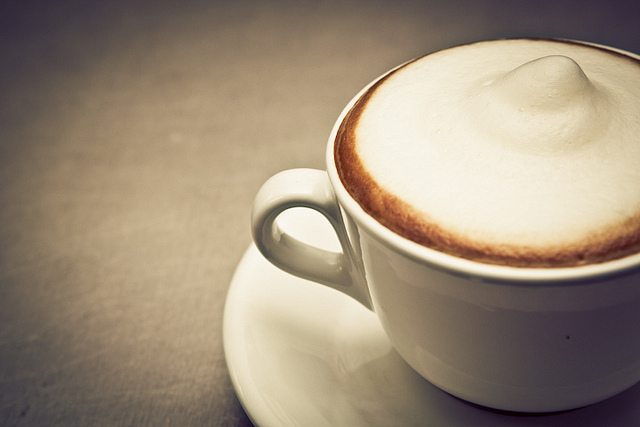 It is only with time and experimenting that you will learn the delicate art of milk frothing.